Since proper power valve selection is crucial to carburetor tuning, AED offers these high-quality power valves specifically designed for your Holley performance carburetor. All AED power valves are high-flow units with several vacuum ratings to give you the ultimate in tuning capability. 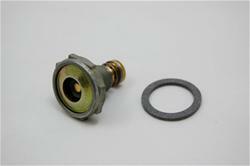 AED also offers alcohol power valves for the special fuel demands of alcohol carburetors. Quality power valve at a great price !!! !